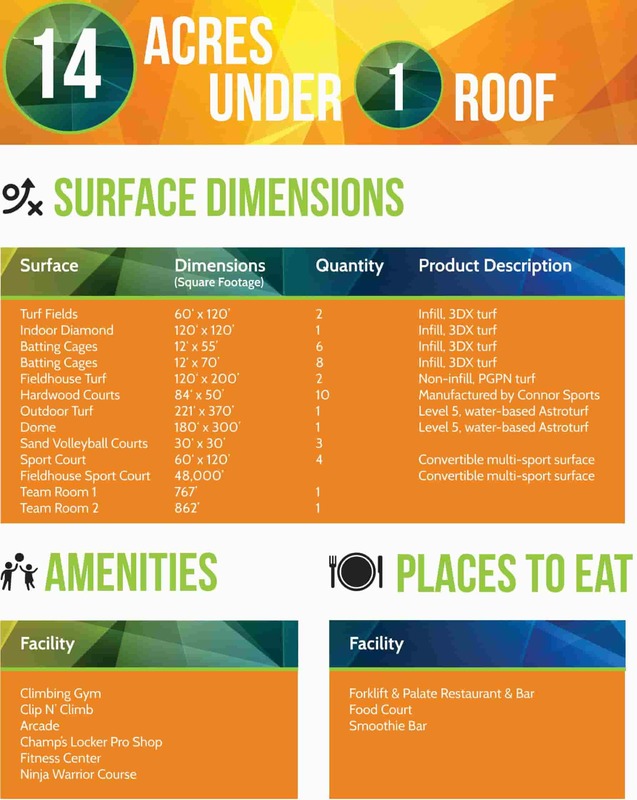 Located between Hershey and Lancaster, you’ll find the largest indoor sports facility in North America. 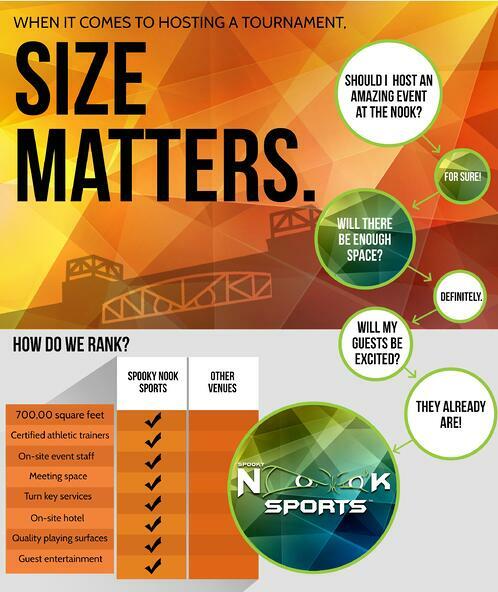 The Nook will be the best choice to create an experience unlike any other by providing regulation courts and playing fields for more than a dozen sports under one roof. Our 700,000 sq. ft indoor facilities include 10 hardwood basketball courts, four field hockey courts, 10 volleyball courts, and six soccer fields, as well as a 200-meter indoor track and a full-sized baseball infield. 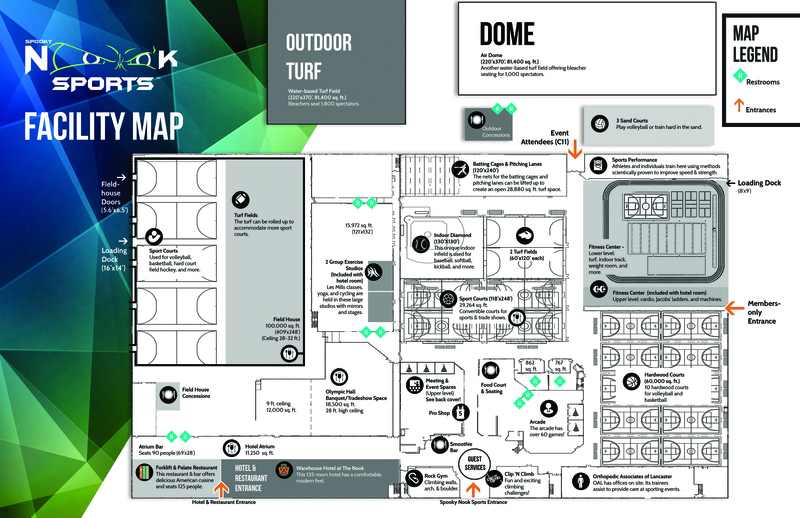 The Nook also encompasses a fitness center, a climbing center, numerous meeting and party spaces, a food court and arcade, onsite 135-room hotel, onsite full-service restaurant and much more. Every consideration has been taken to create an unparalleled experience for our guests. 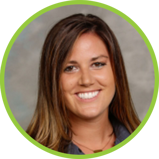 Contact Marissa if you have any questions about hosting your next event at Spooky Nook Sports.